Today, I would like to introduce a Japanese teahouse. 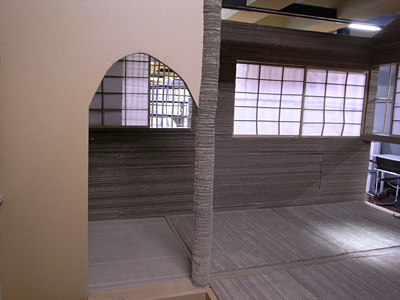 The most interesting feature of this teahouse is that this is the perfect re-creation of a national treasure and built entirely out of cardboard. Let’s take a look! The exterior. Don’t treat cardboard lightly. Nice and big, isn’t it? 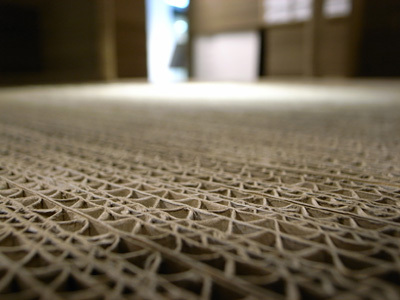 This section of cardboard looks just like “tatami” mattress. 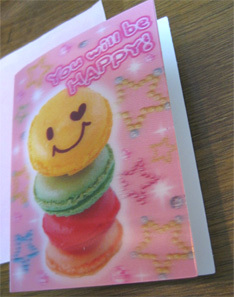 You can enter the inside. It’s not a real teahouse. But once you enter the inside, you feel something quiet, like you are in the real national treasure. Japanese kimono would match this teahouse very well. 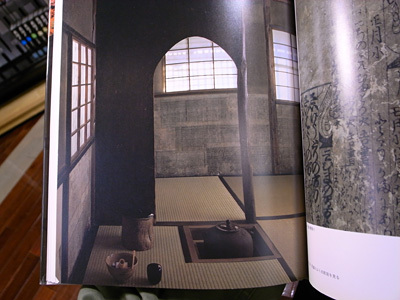 He is the architect of this teahouse, Mr. Matsuda. 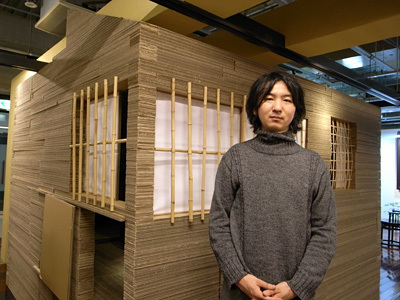 According to Mr. Matsuda, it is not very unusual to build full-scale model with cardboard in the architecture field. This is the actual teahouse. 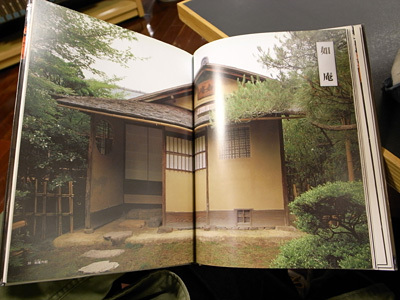 A national treasure teahouse named Nyoan. 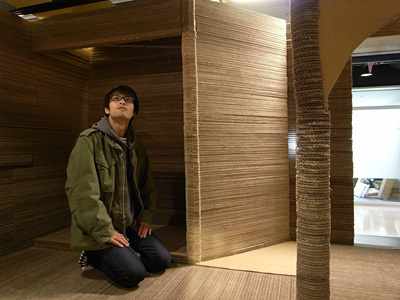 Regular people can’t enter the national treasure, but everyone can go inside if it’s a cardboard house (^^). 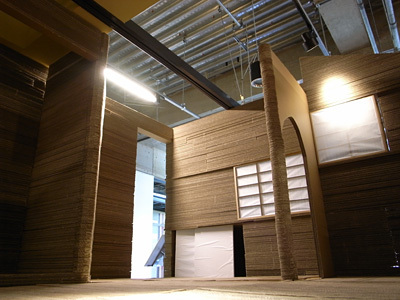 The model takes 7~8 hours for eight people to assemble. 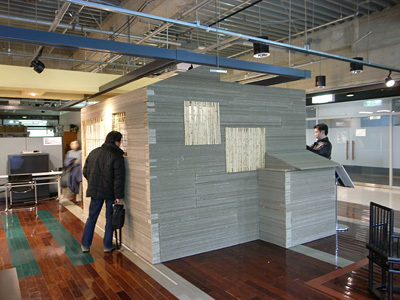 This corner is recreated like in the photo below. This is the fireplace part. No timbers used inside the walls. 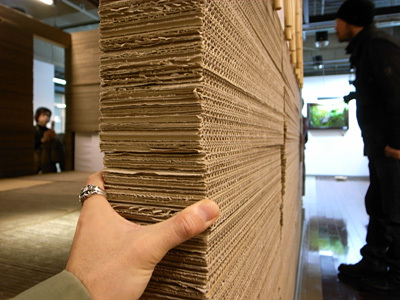 The material of the walls is only cardboard, but it looks and feels strong enough. 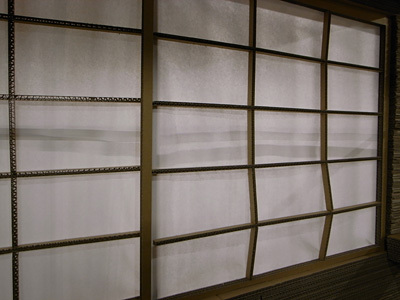 However, the thin parts, like the frame of sliding paper doors, seem a little weak.